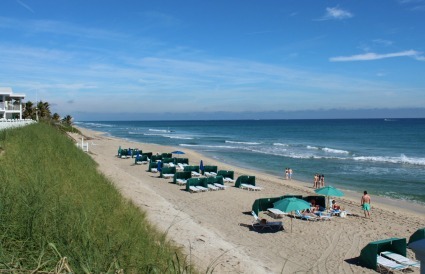 beach lies north of the Hillsboro Inlet, which ensures greater privacy, and is buffered by private homes to the north. There are beach cabanas, lounge chairs, chairs and umbrellas are available for all residents at the Club. 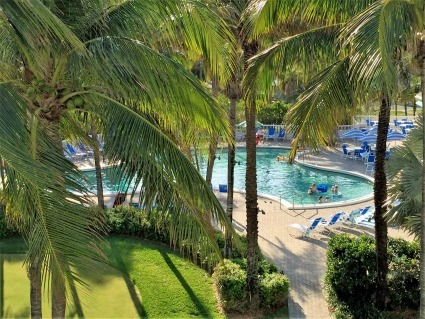 Typically, your private cabana area is set up on the beach in proximity to your room, but the beach staff can accommodate most requests for specific areas or groupings of families and friends. Enjoy our beach activities including Hobie Cat sailboats, snorkeling, kayaking, stand up paddleboarding, beach toys and more. The heated, freshwater pool at Hillsboro is located near the Montgomery Lounge, which also houses the Spa and Fitness Center. Adult swim is held daily from 12:00 to 1:00 p.m. and Water Aerobics classes are held throughout the winter season. There are shower facilities for men and women in the Spa and Fitness Center, and the facilities include a whirlpool, steam room, and bathrooms. The beach staff and lifeguards provide supervision at both the beach and pool areas.